The Taste of Little Italy was briefly halted when a shawarma restaurant was engulfed in flames Sunday afternoon. The fire broke out on College Street between Grace and Beatrice streets around 2 p.m., during the peak of the annual Italian food festival. 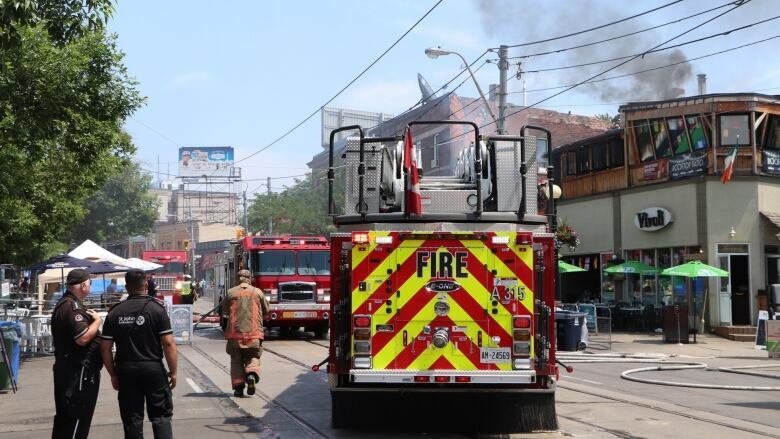 Foodies at Taste of Little Italy allowed fire crews, police and paramedics to move through the west-end neighbourhood that was closed to vehicle traffic, said Gary Long, spokesperson for Toronto Police Services. The blaze started in Ghazale, a Middle Eastern food chain, before spreading next door to The Fish Store, Long explained. Firefighters evacuated the second-floor apartment units above a neighbouring restaurant. They put out the fire shortly after arriving at the scene. No injuries were reported. Toronto Fire is investigating what caused the blaze.